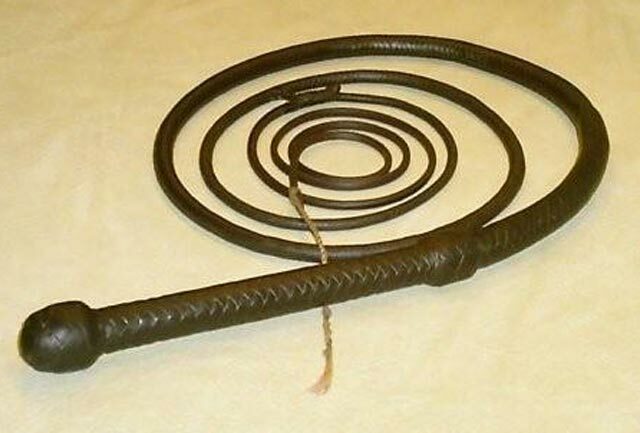 This bullwhip has been made in 1988 by Tery Jacka and is quite different from the whips he makes today. But his typical style can already be recognized. The handle is plaited in a 6-seam herringbone-pattern, the thong has four seams as usual. The 12-plait overlay is very fine. 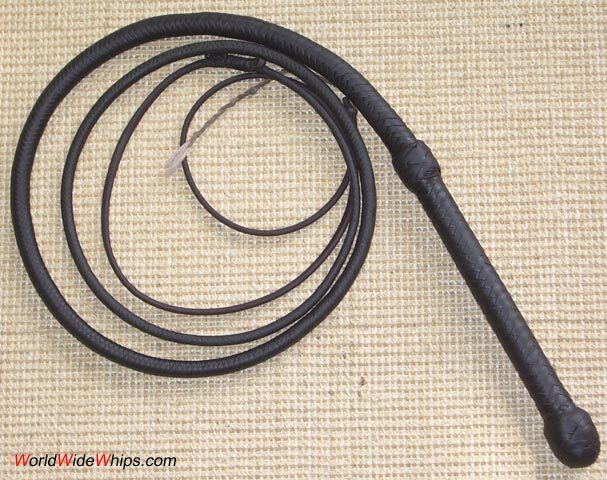 The knob has a longer shape than on the whips he makes today, nearly shaped like a drop. 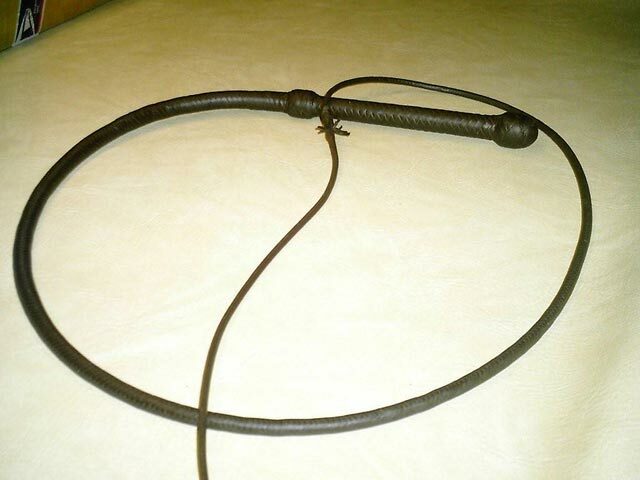 After many years of intensive use, this whip is still in great shape.